Painting is Janet Olney’s vehicle for probing the convention of truth. Through observation, she finds truth to be complex, driven by diverse perspectives, assumption, and experience. In her experience, reality is a multi-faceted, conditional notion. Her work explores the changeable nature of contemporary reality. In this body of work, Janet Olney applies conditional statements and logic to perceptual events. 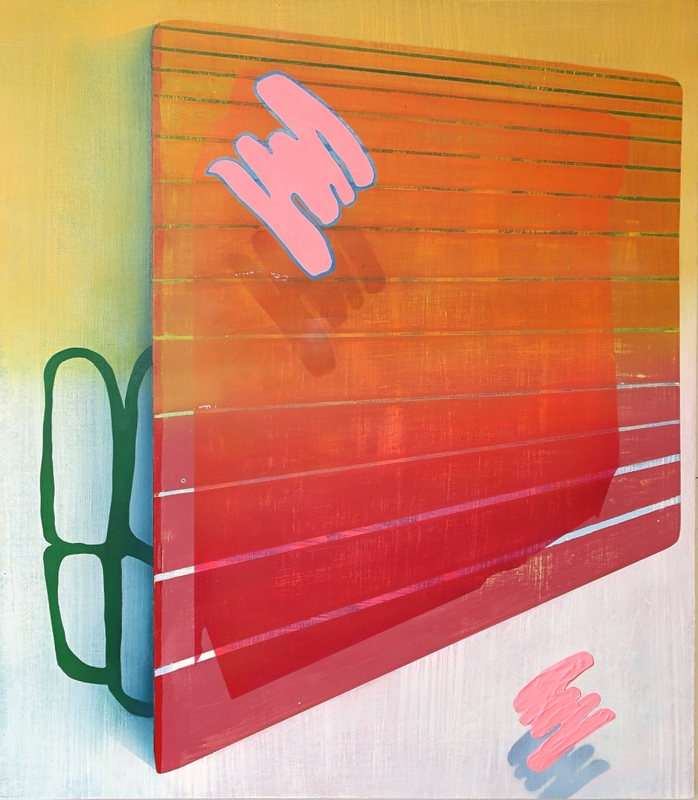 The paintings propose if-then statements and offer a conclusion that is open to inference. This series is based on two-value truth tables that Olney constructs using shapes. By building logical statements of visual forms, her tables show how the truth or falsity of a visual expression ultimately depends on the truth or falsity of its components. If the premise of abstract forms is true, then the painting must also be considered true. Each painting considers the visual values and draws a conclusion about the realm in which they exist. About the artist: Janet Olney lives and works in Baltimore, Maryland. She currently teaches at Loyola University and Maryland Institute College of Art (MICA). Olney is the recipient of the Henry Walters Traveling Fellowship to study in Tokyo, Japan and a Lucas Grant for Faculty Teaching & Curriculum Development. Her work is featured in volume 32 of Studio Visit magazine and has been exhibited in numerous group including; MAP (Maryland Art Place), Baltimore, MD; Small Works, Trestle Gallery, Brooklyn, NY; Distant/Adjacent, Baltimore Office of Promotion, Baltimore, MD; Spatial Conversations, Creative Alliance, Baltimore, MD. In Summer 2017, she was a resident at the Vermont Studio Center and mounted a solo exhibition, Peripheral Logic, at Hee Gallery, Holliston, MA. Olney holds an M.F.A. and B.F.A. from the MICA (2014) and a Post-Baccalaureate in Studio Art from Brandeis University (2012). Whenever possible, Janet spends her time eating ramen in Tokyo.